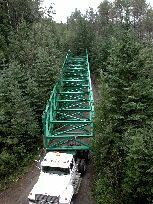 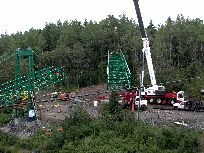 The first bridge section is back in the air. 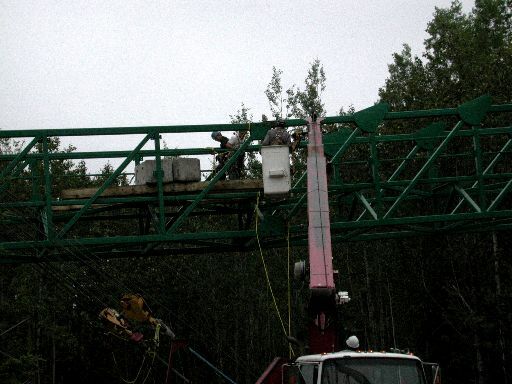 Besides the winch cable on the Cat being upgraded from half inch to one inch, the two inch steel cables have had some of their slack taken up, and the trolley/lifting frame winch cables have been winched all the way together. 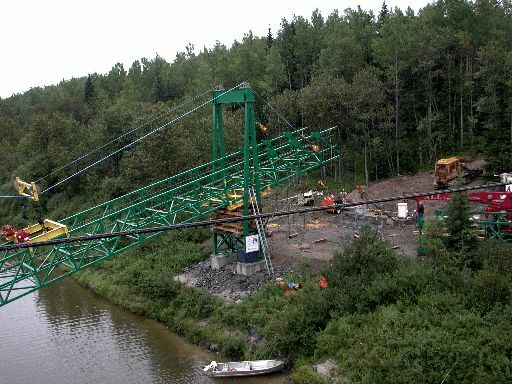 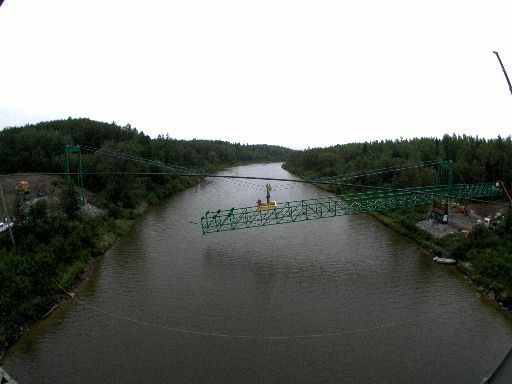 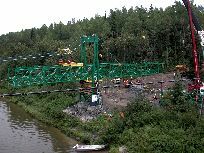 The first bridge section has been launched out to the required posiiton so it can be connected to the second bridge section. 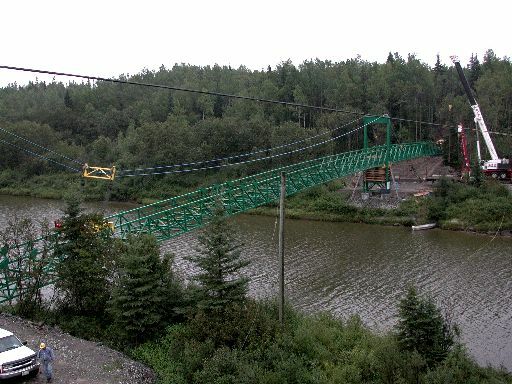 The second bridge section is being lifted and swung to position. 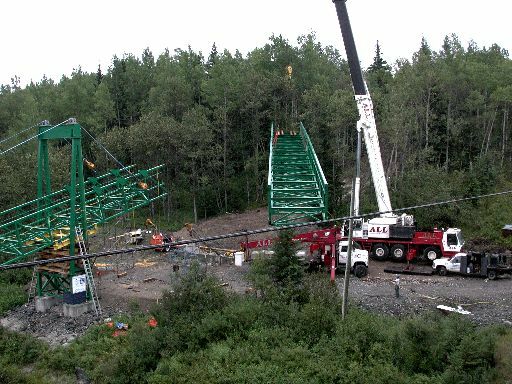 The second bridge section is being brought to position so it can be connected to the first section. 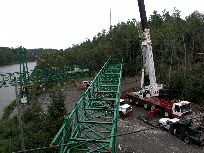 The third bridge section is now able to be brought to the staging area. 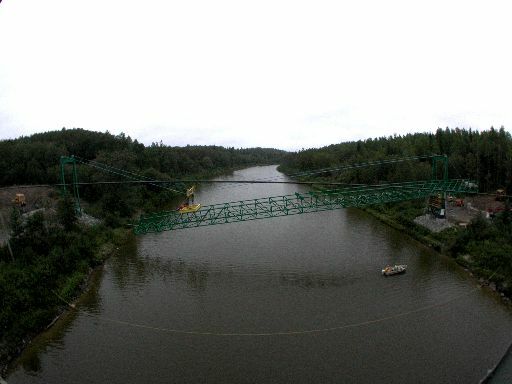 A fisheye lens view of the bridge span just as the first and second bridge sections are ready to move over the river together. 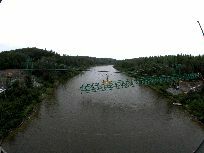 Another view of the first two sections as they are about to start moving over the river together. 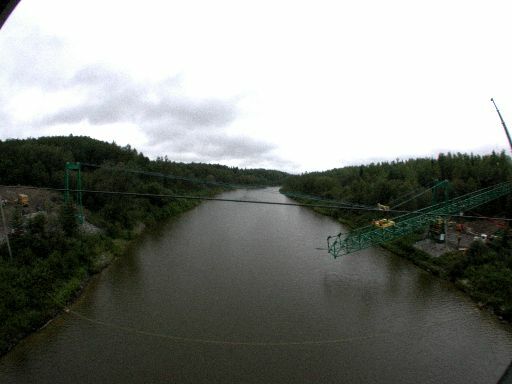 A fisheye view of the bridge span as the first and second bridge sections move over the river together. As this picture was being taken, concrete weights were being put on the far end of the second bridge section. 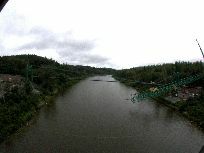 A fisheye view of the bridge span as the first and second bridge sections move further out over the river. 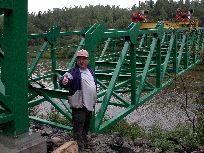 The second section is now in a postion so the third bridge section can be attached. 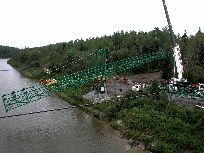 The third bridge section is being swung to position. 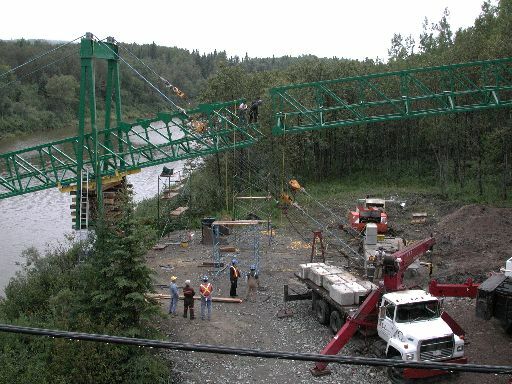 Iron workers join the third bridge section to the second bridge section. 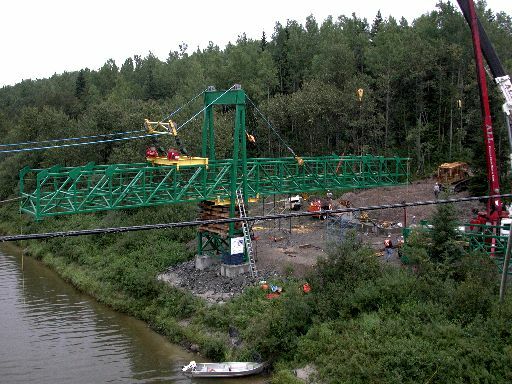 The first bridge section has been planted on the west bank of the river, just short of the west bridge tower. 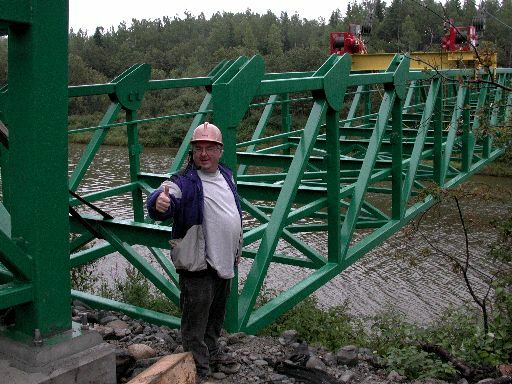 The bridge will be left here for the night. A view of the bridge as it was left for the night.